More and more businesses are centered around kids, businesses such as nurseries, pre-school organization, summer camps, and mommy blogs are starting their own website to find new clients, and future business partners, and tell the world about the services they are offering. To make your site creation quicker and effortless, we will share a compilation of ready-made WordPress templates will fit such purposes. With easy installation and intuitive modification; such products are in demands among many successful project worldwide. So what are you waiting for? Don’t waste time, effort and money on things that can be done much quicker and hassle free! Home care, kindergarten, nurseries, pre-schools and other kids related project that you can think of will look amazing with the following themes. They are fully functional and full prepped up with an wide range of smart visual elements. 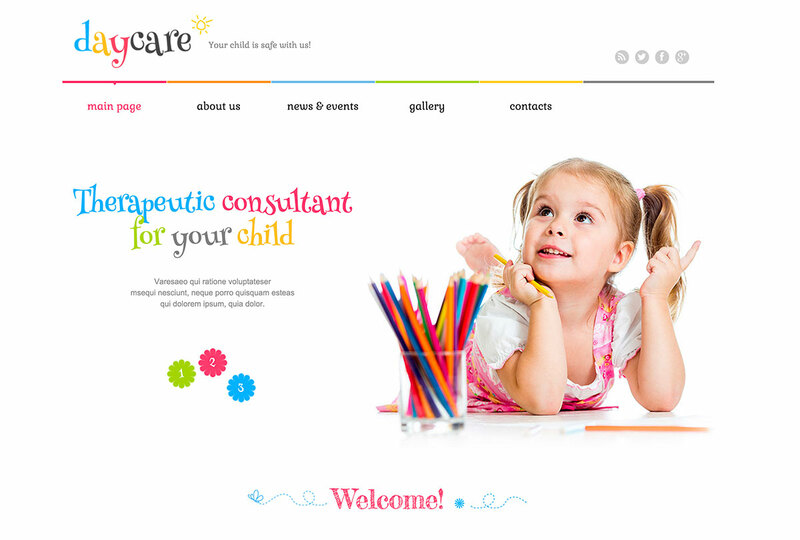 Therefore, all of the 10 WordPress themes will appeal to the parents and their kids alike! Some will better suit blogs, while others are intended for online portfolios and business purposes, whereas some others are ready-made online marketplaces. The compilation features ready-made WordPress designs for a variety of purposes and built in various styles. So go ahead and check out how each of them works and feels on your own! A theme for daycare center? Then this one is for you! 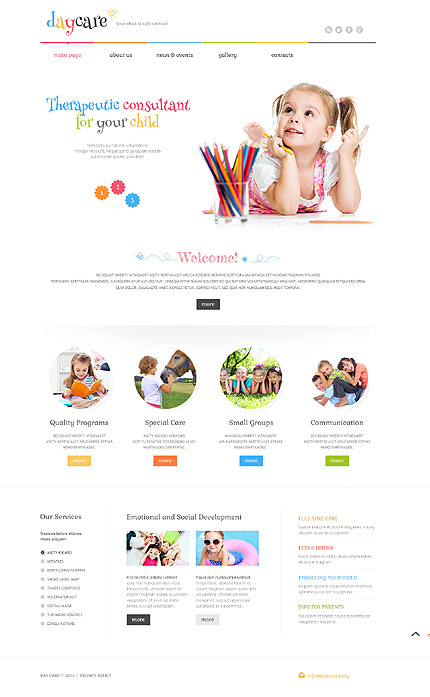 Daycare is a WordPress theme that features a clean, colorful design elements, making it a perfect fir for kids related websites. With the company logo and social sharing options placed in the theme’s header, making the name of your business prominent. Furthermore, with the Carousel slider below them which allows the users to dig deeper into the atmosphere of your business. Moreover, a fully responsive template made retina ready, guaranteeing you that your entire site’s content will be properly displayed across a variety of devices. Furthermore, the theme’s footer is very informative and easy to scan, providing you with a quick access to the desired content. 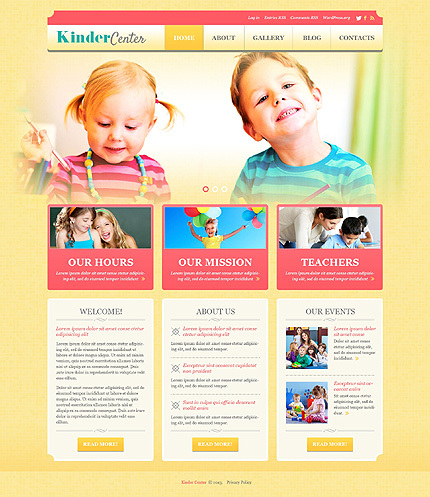 For more similar kindergarten themes, please check this theme collection. 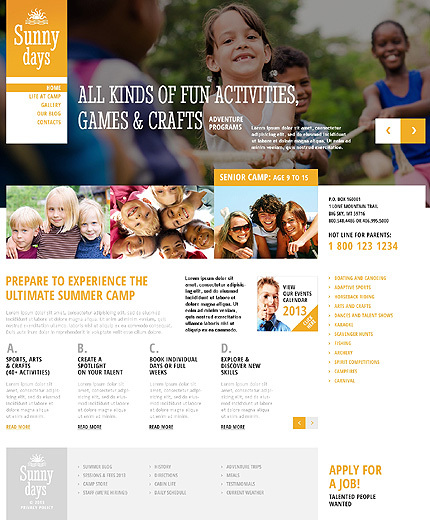 Are you looking for WordPress theme perfect for kids summer camps? Then this theme is just for you! 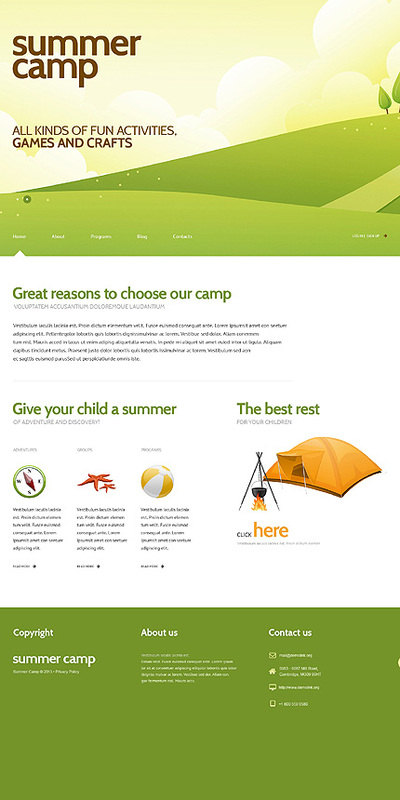 Fairy Forest is a highly customizable WordPress theme for kids summer camps, with its large hero image in the theme’s header working as a great attention grabber. Furthermore, it introduces your audiences to your project and captivates them with the smiling faces of kids from the camp. Moreover, the theme’s layout features a lot of white space that really bring out the purity and peace you want your website to represent. With techniques to make your site contents more prominent and viewable, and to make the page easier to scan. Lastly, in order to entertain the viewers, the front page is integrated with cool photo sliders and animation effects. 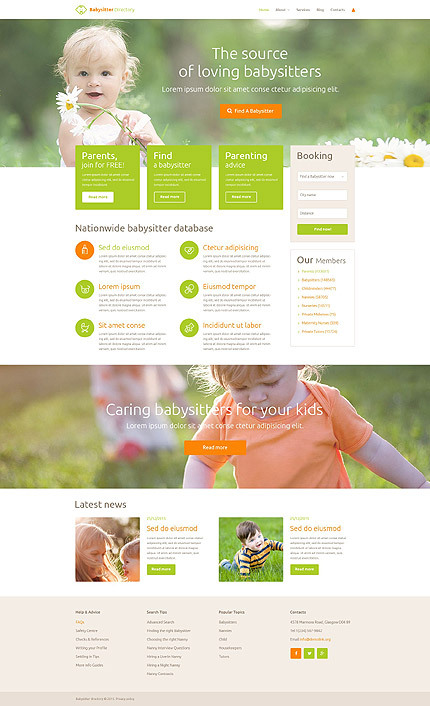 Babysitter Directory is a professionally built family center WordPress template, which comes loaded with an array of functions that are ready to go out of the box. Featuring light green elements, the theme’s layout looks optimistic and cheerful. Happy kids’ faces in the header make the site’s visitors split into a grin. The parallax scrolling background images add more depth to the page, whereas the lazy load effect is intended to speed up your page loading. In addition to the standard set of features (like social sharing options, a pre-designed contact form, online chat, and fixed menu), the theme was integrated with an online booking form. 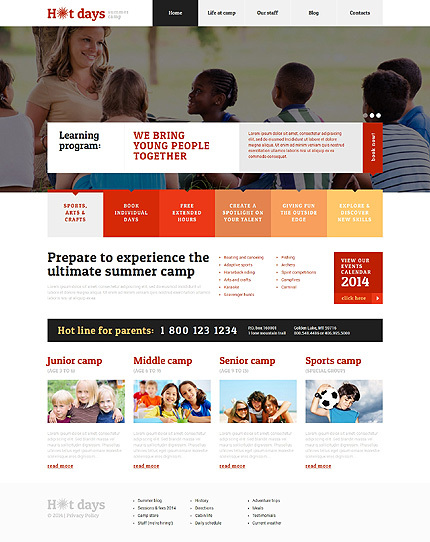 Almost-flat style of this Kinder Center theme will make your website look very trendy. Its bold coral and yellow images create a cheerful atmosphere on the site, drawing the users’ attention to the fields that are of the greatest importance. The theme’s front page is clear and concise. It doesn’t feature anything extra. Here your site visitors can find the basic information about your project, cast a glance at your company story and its mission, as well as check out a list of the upcoming events. The theme is fully customizable. So, if you wish to apply any changes to the way it looks and feels, this can be done in its powerful back-end. Hot Days is a ready-made solution for kids’ summer camp sites. The clean look of this theme makes it a perfect fit for blogging and portfolio platforms. Placed on the fair background, multi-colored banners below the header slider and events calendar look even more captivating. Visual hierarchy on the page was achieved by means of fonts of different sizes and colors. Grid-based content positioning allows you to save on space and place as much content on the front page as you wish, without compromising on the site’s usability. 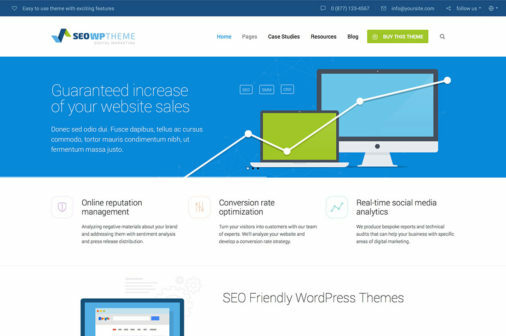 Sunny Days is a professionally design WordPress theme that can handle content-heavy websites. The layout was made clean and minimalist. For the users’ convenience, categories menu was moved to the right sidebar. A full-width header slider is fully customizable and 100% responsive. Thanks to the grid-based structure, you will have plenty of space to share different types of content on the front page. 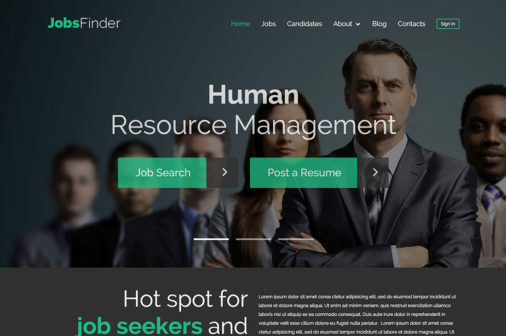 An application form at the footer will help everyone eager to join your community to apply for job. Thanks to the creative illustrations added to the header of the theme you can make your site more personalized. Summer Camp is not rich in visuals. However, all content that was shared on its front page is easy to read. By means of icons, you can better deliver your message to the viewers. Fonts of different sizes bring hierarchy into the design. The chosen color palette perfectly fits the theme’s topic. Light green hues make it look so fresh and inspiring, welcoming every visitor to join your summer camp. 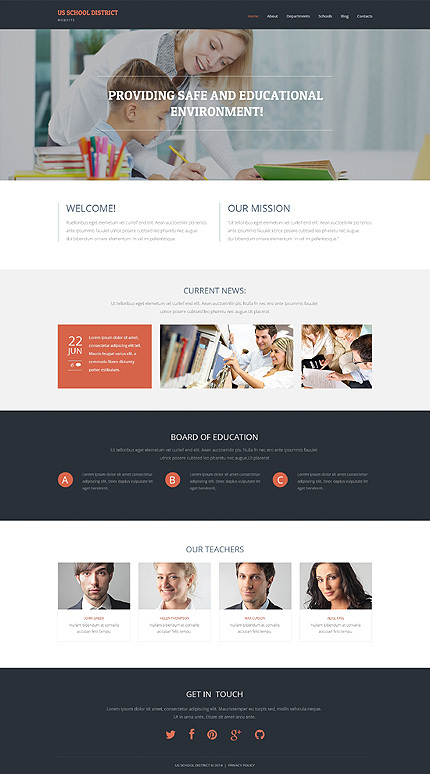 School is a carefully built WordPress template, which will be a great starting point for education, kids center, nursery, training, and other websites. The theme’s layout is clean and simple, built with attention to details. 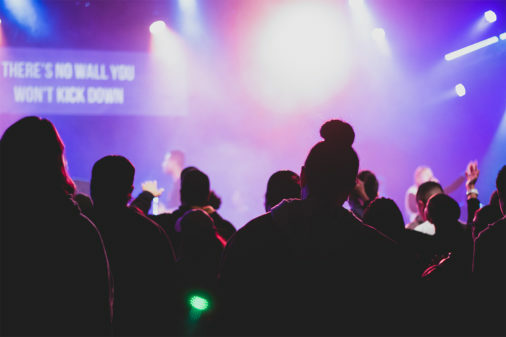 Moreover, the front page is intended to introduce your web project to the visitors in a clear way, and draw the users’ eyes on your services and upcoming events. Contact details were added to the theme’s footer, exactly where you might expect to find them. In terms of customization, the theme options panel comes loaded with all the functionality that you might need in order to tweak the layout, remove/add/edit design elements, etc. The design of US School District theme is aimed mostly at kids and their parents. Flat style brings the main focus on content. On the front page, different types of information were divided by means of large headlines as well as dark and light backgrounds. Furthermore, the grid-based content positioning allows you to save on space and share as much data as you wish in a well-balanced way. In terms of navigation, the theme is intuitive and user-friendly. Moreover, the main navigation bar remains fixed to the top of the page as a user navigates your site. Back-to-top functionality was also provided. Lastly, like the rest of the themes on this list, US School District is fully responsive, cross-browser compatible and SEO-friendly.